HUDSON HEIGHTS — A group of tenants living in a building on West 180th Street are accusing their landlord of a “fraudulent scheme to overcharge tenants and illegally deregulate the apartments,” according to a lawsuit expected to be filed in New York Supreme Court on Thursday. Twelve of the tenants of 854 W. 180th St., a pre-war building overlooking the Hudson River, are seeking to recover rent overcharges from LIV Hudson Heights LLC and adjust their leases to reflect what they believe their legal rent should be. The tenants first thought something was amiss when they realized a large number of rent stabilized units had been deregulated at their 49-unit pre-war building, and many new tenants were asked to sign waivers acknowledging they weren’t entitled to any protections under rent stabilization laws. This spring they reached out to the Housing Rights Initiative, a nonprofit that investigates rent fraud in rent-stabilized buildings. Their data analysis uncovered a pattern of aggressive deregulation and massive rent increases at the six-story building — which the group believed was achieved by illegal means. With help from Housing Rights Initiative, tenants did a deep dive into their rent histories — requesting a list from the state’s Division of Housing and Community Renewal (DHCR) of all of the rents paid by past and current tenants for their units from 1984 to the present. 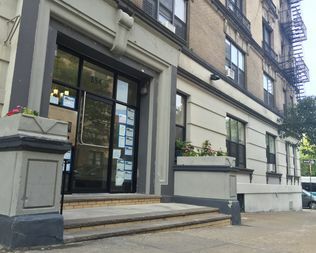 When the landlord caught wind that the tenants’ association was meeting in the lobby this past spring and summer, the owner began serving “punitive” lease renewals, demanding increases of $1,000 or more a month, in efforts to “drive out” these tenants, the lawsuit alleges. One tenant, who signed a lease for $2,200 a month in October 2015, was recently asked to pay $3,600 a month — a 64 percent spike — upon lease renewal. The apartment, however, should have been protected under rent regulations, the lawsuit claims, since the only way the landlord could have removed the unit from the rent stabilization roster was if the building spent nearly $40,000 on individual apartment renovations. Yet, there were no Department of Building permits associated with the apartment, which shows signs of disrepair, including a wall that had collapsed, the Housing Rights Initiative found. The building lost roughly 40 percent of its rent stabilized units over the past decade, the Housing Rights Initiative’s investigation found. With many long-term residents in Washington Heights complaining about forces of gentrification taking over their neighborhood, the situation at 854 W. 180th St. offers a prime case study in how rent stabilized units are taken out of the system. Heritage took out a $10 million mortgage on the property, indicating potential over-leveraging, Housing Rights Initiative investigators believed. “This case is a classic example of unfettered action taken by an investor to undermine both the intent and purpose of rent stabilization and the preservation of affordable housing,” said Kim Powell, the director of Housing Rights Initiative and an attorney who worked on a major tenant harassment case against one of the city’s biggest landlords, the Pinnacle Group. Brian Newman of Heritage Realty/LIV Hudson Heights, LLC said he was still unaware of the lawsuit. Although they did send out some renewals recently, after taking over the building in March, it was only to apartments that were already deregulated, he said. Housing advocates fear that many landlords base their business models on the lax government enforcement when it comes to rent overcharges. The burden falls on tenants to be proactive and understand real estate law so they can figure out whether they’re being overcharged and what to do next. In Upper Manhattan, where this is a big problem, Councilman Ydanis Rodriguez is hosting a “Tenant Resource Fair” on Sept. 22 at the Muscota New School, along with the Department of Housing Preservation and Development. Rodriguez’s office is looking to support residents facing harassment, displacement and other landlord issues. Others are trying to address the issue, too. Yale Fox, a TED Fellow focused on income inequality and housing rights, launched the rental listings site Rentlogic, which pulls open source data from various government agencies to try to make it easy for renters to see if a building has red flags problems or a badly behaving landlord to help would-be renters steer clear of such units. Cases like the one at West 180th Street, “demonstrate the weakness of the housing oversight and enforcement system,” Fox said. It also shows the need for making public records, like applications to increase rent of stabilized units, publicly accessible. “There is currently no effective means by which the city can verify all the claims in all the applications made to raise rents for building and unit renovations,” said Fox, who believes his platform could potentially helps the city identify problem landlords to more efficiently deploy their own enforcement resources. Carr added that many tenants in Washington Heights remember a time when they knew who their landlords were — which is often no longer the case.